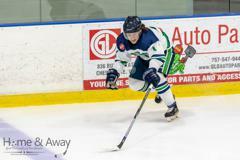 "Brendan’s two years with the Whalers illustrate his incredible individual development which is directly connected to our back to back National Championships", stated Whalers owner Patrick Cavanagh. "His quiet leadership speaks loudly when he plays the game, he selflessly plays for team betterment and for each of his teammates. He joins 2016 Whalers Champion, Ryan Bochart at Morrisville and will be a tremendous asset for the Mustangs and Coach Krogol". 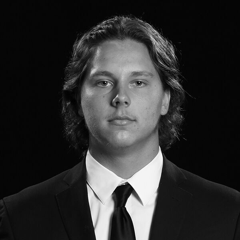 The Hampton Roads Jr. Whalers are proud to announce that 1998 defenseman Brendan Borg from Grand Blanc, MI has committed to playing college hockey in 2019 for the Morrisville State University Mustangs. 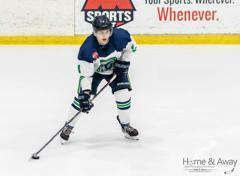 Borg, in his 2nd season in the Whalers, posted 21 points in 49 games on 4 goals and 17 assists en route to helping the Whalers Premier team capture the 2019 USPHL Premier National Championship. In his 2 seasons in the blue and green, Borg competed in 98 career games, tallying 26 career points on 5 goals and 21 assists. 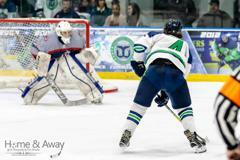 "I am so grateful for the opportunity the Hampton Roads Whalers have given me", stated Borg. "To the entire coaching staff for pushing me to reach my greatest potential. I wanna say thank you to SUNY Morrisville for giving me this great opportunity to play at the collegiate level". "Also wanna give a big thanks to my family; Mom, Dad, sister, and my grand parents. I could not have gotten this far without them. I am looking forward to becoming a Mustang". "Brendan was a key member of both the 2018 and 2019 championship squads", stated head coach Rod Taylor. "He is a solid defensive player who was both reliable and steady. A quiet leader and all around great teammate. His defensive play is a credit to this team’s overall success. Very happy he was a part of two championship seasons. Morrisville is fortunate to have a player of Brendan’s character and strength added to their roster. It has been a pleasure coaching Brendan and we wish him the best". 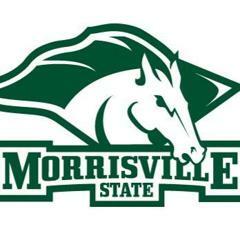 Morrisville State University is located in Morrisville, NY and competes in the NCAA’s division 3 State University of New York Athletic Conference (SUNYAC). 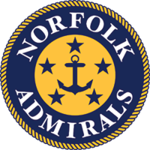 Borg becomes the Whalers 10th commit of the 2018-19 season and joins Chris Ciolek (Worcester State), Blake Bjella (Worcester State), Matthew Hanchon (Southern New Hampshire), Conner Hunt (Manhattanville), Max Loga (Lebanon Valley), Cody Wilson (West Virginia), Brandon Osmundson (Utica), John Moncovich (Utica), and Jaxon Rutkowski (Utica) as committed Whalers.